FORT WAYNE, Ind. (CNS) -- The Diocese of Fort Wayne-South Bend welcomed findings by a Pennsylvania district attorney that cleared Bishop Kevin C. Rhoades of wrongdoing after an allegation of misconduct was made against him. District Attorney Fran Chardo of Dauphin County, Pennsylvania, announced Sept. 13 that "a full investigation" by his office found no evidence that Bishop Rhoades ever engaged in "a criminal or otherwise improper relationship" with a now-deceased man. Chardo said that he believed the original report was the result of an honest, mistaken recollection, the news website PennLive reported. But the DA also said the claim has brought "significant" harm to the bishop. The investigation of Bishop Rhoades, the former bishop of Harrisburg, Pennsylvania, began after diocesan officials forwarded a recent allegation of misconduct to Chardo's office. 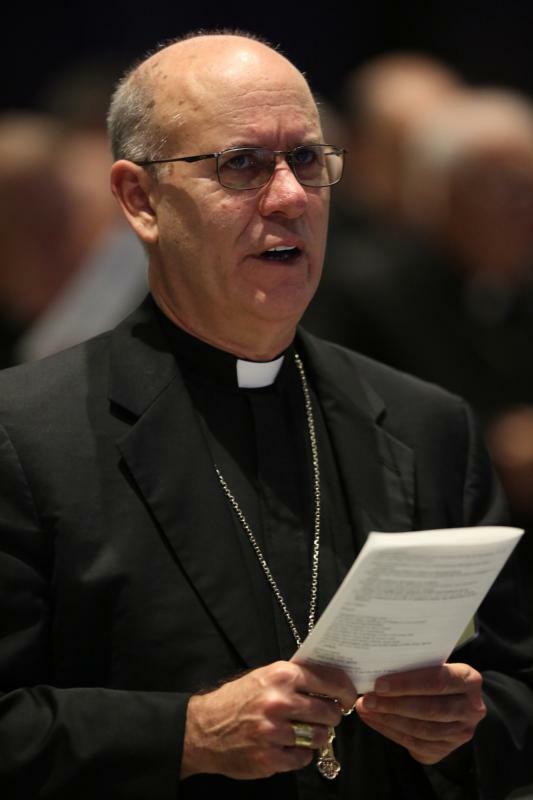 Bishop Rhoades, who has headed the Fort Wayne-South Bend Diocese since 2010, "adamantly" denied the allegation Sept. 6 in a statement from his diocese. After Chardo's announcement, the Diocese of Fort Wayne-South Bend said that "while it is important that allegations be brought forward, it's equally important for due process to take place." "The result of this investigation underscores the importance of allowing appropriate authorities to determine credibility of accusations before the reputation of any individual is impugned in the court of public opinion," the diocese said. Chardo called the accusation "a case of a public airing of mere speculation of impropriety with no foundation," PennLive reported. He said the leaking of the allegation "did unnecessary harm" and was a "disservice to actual victims of sexual abuse." "It has also caused significant and unnecessary harm to Bishop Rhoades," Chardo said. The allegation stemmed from a 1990 trip to Puerto Rico in which Bishop Rhoades agreed to take along a young man who been paroled from the Dauphin County Prison. The man asked Bishop Rhoades if he could join him so he could visit is grandmother. Bishop Rhoades maintained that the trip evolved as an extension of his work in prison ministry. The man died in 1996. Aren’t we missing some details, such as the source of “recent” allegations which the diocese (presumably Harrisburg) sent to the DA involving a “deceased man” who apparently died in 1996? And, the basis the DA determined the original (?) report to be “the result of an honest, mistaken recollection”?